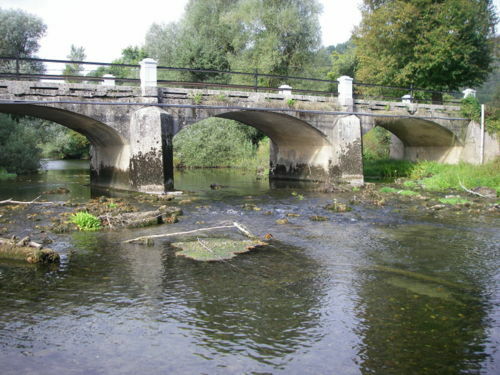 Hot summer day with Idrijca river low took from me the maximum effort to catch some fishes. Most of them were graylings, whose population is much bigger than in spring. 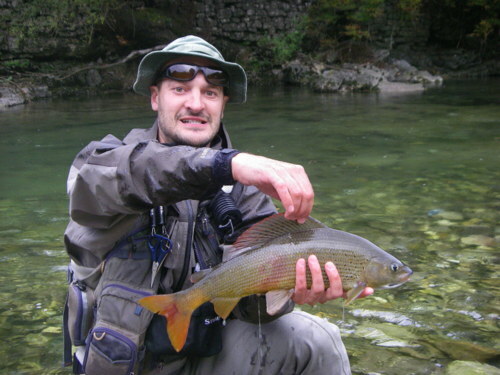 I don´t know where they came from, but I can say that everyone who want to catch monsters Idrijca is the right river to choose. Best results were made with small dry mayflies on hook 18# before the dark. My biggest graylings were long 47, 48 and 49 cm. I hope that next time I will have the fortune to catch one with the magic length of 50. The point of the day was that we really struggle to catch graylings (we focused our fishing to them), who weren´t even a little interested to take our flies. They were lying on the bed of the river, like they were glued to it. The gear we used was very long leader, with very thin tippet (we used 0,10 and also 0,10 fluorocarbon line) and flies tied on hooks #20, #22. 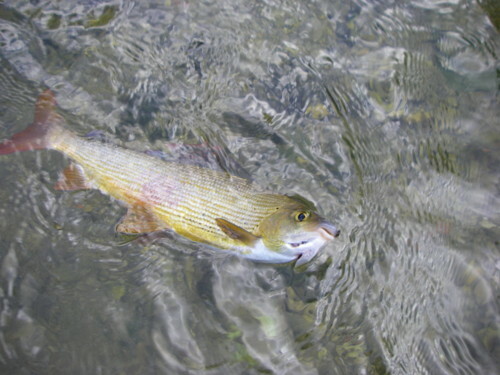 We changed more than 20 flies and not even one fly didn´t catch more than 1 grayling (of those who were actually interested to take them). I hope it will be easier next time. After some years I went to Unica river this September. Sunny day with low water first indicated that we would struggle to get a fish, but at the end of the day we counted more than 10 fishes per person. 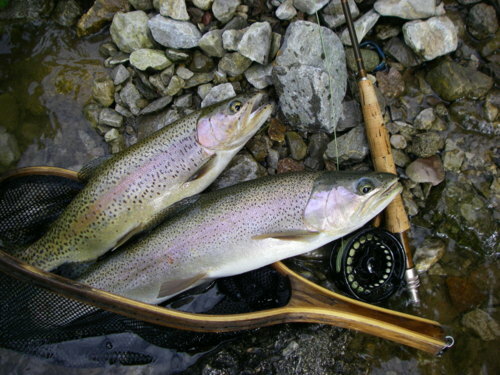 Most of the success came from dry flies tied on hooks 16-20#. 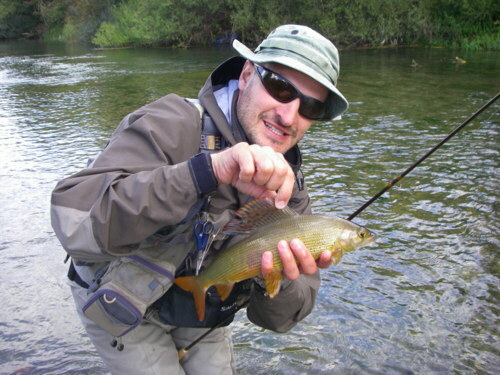 We had more success in faster parts of the river where graylings weren´t so demanding. Trough the day I had some line breaks with decent fish on, and so was for Martin. 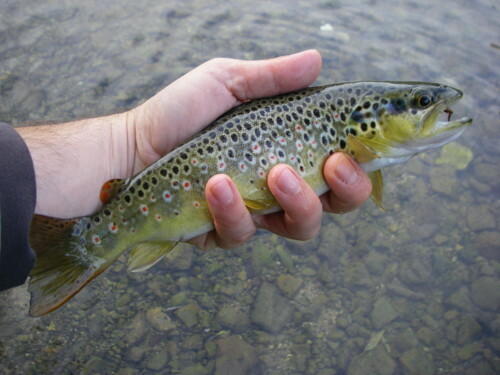 He succeeded to catch a beautiful brown trout of 50 cm. 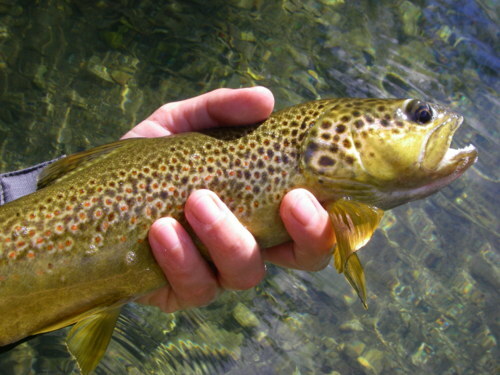 Bigger graylings started to rise only before the dark, and some of them were caught and then released. 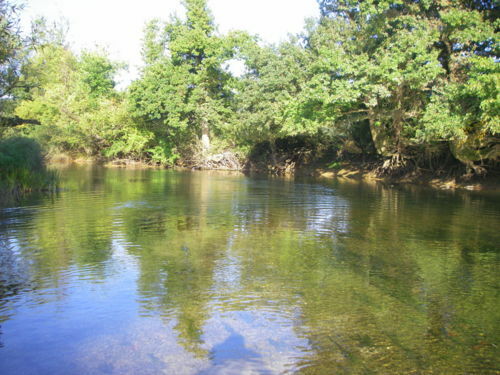 I hope to visit this magnificent river as soon as possible. 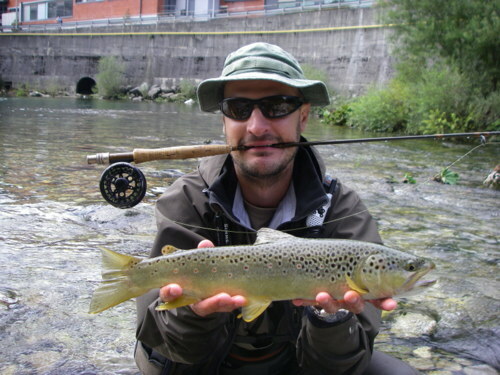 Today I am writing about our fly-fishing day on Idrijca river. 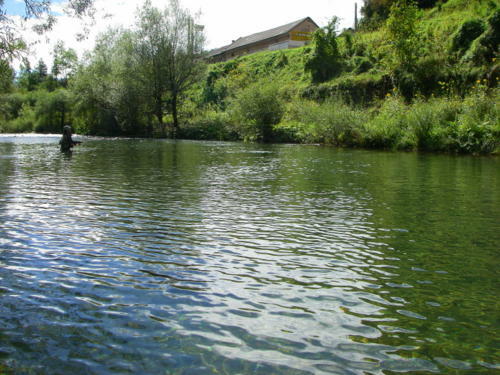 Like always I was fishing with Martin, and that day we decided to visit the trophy part of Idrijca river, managed by Idrija Fishing Association. 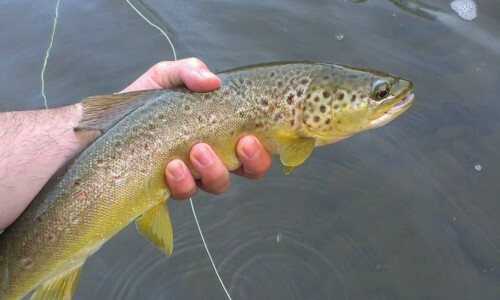 The day was cloudy with some rain, but we managed to catch some very nice fish. We started using very small nymphs until the fishes started to rise, but instead of dry flies they were feeding with emergers. 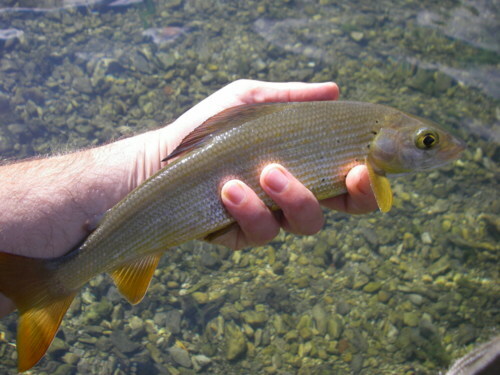 We watched their dorsal and caudal fins coming out of the water before we tied small emerger on our lines. 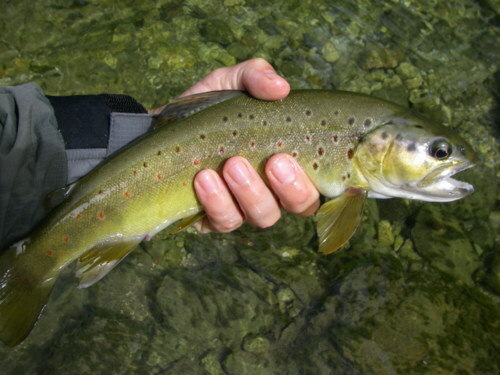 The result was quick – beautiful browns, marbles and hybrids were soon on our lines and fighting for their freedom. Of course they were all released. 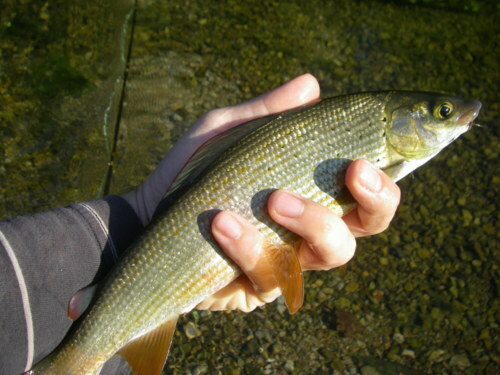 In the afternoon the activity wasn´t good as we expected but we also had some catches, with a big fat grayling of 51 cm on top of them. 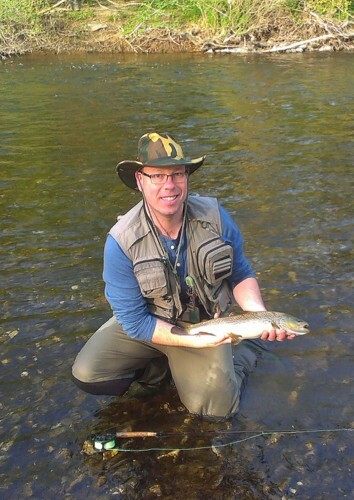 Martin spotted him on the bottom of a small pool and catched him with a small dry-fly. The battle was intense with some very high jumps out of the water. Like others it was released unharmed. A trophy like that needed a toast… but that is off the record.